How to buy the best gps location tracking? WEATHER RESISTANT - The body of our tracker is great for outdoor use as it is weather resistant, making it perfect for camping, hiking, or long trips while away from home! SOS EMERGENCY - When the button is activated, the SOS function will activate, allowing an alarm signal, helping you locate your device. This is a great product to give to your kids In case of an emergency! TRUSTED MAPPING - Our GPS tracker also uses Google mapping for the GPS's tracking and history, helping you feel more comfortable know that we use a trusted company! SATISFACTION GUARANTEED - We take great pride and care in manufacturing and developing only the highest quality products for our new and loyal customers! We offer a 30 day money back guarantee! 4G LTE the latest in GPS Tracking Technology is finally here! Be Certain you will have service no matter where you go! Feel unsafe when you or a friend goes camping or hiking alone? Looking for something to help keep track of important items? Here at Birds Eye Global Tracking, we have just what you need! 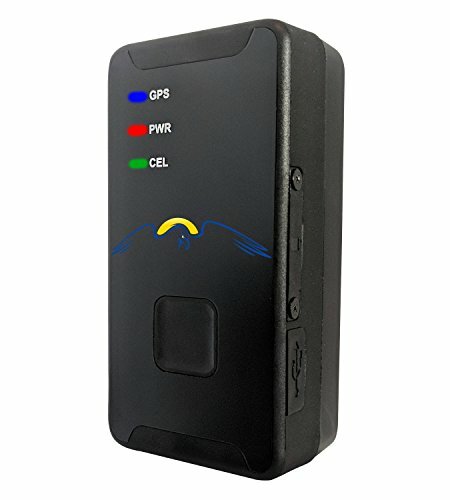 Our GPS tracker is perfect for those traveling with important luggage that you can't have lost or even for someone camping or hiking in case of an emergency! The ruggedness of our tracker is great for any rough or harsh terrain! The main feature of our tracker is the real-time location tracking! Using google mapping to track the device,coupled with the Verizon network you can know exactly where to find it instantly! Our tracker is also equipped with and SOS emergency alarm, in the case that something goes wrong and your tracker needs to be found! We put 100% into satisfying each and every new and loyal customer! So, what are you waiting for? Invest in yourself! Click on the 'add to cart' button while supplies last!